A man has been arrested after a nurse was seriously injured in an attack Monday, allegedly by the husband of a patient, while she was working at the Dr.-Georges-L-Dumont University Hospital Centre in Moncton, N.B. Cpl. Julie Rogers-Marsh, an RCMP spokesperson, confirmed Thursday that Codiac RCMP were called to the scene shortly after 2 p.m. AT on Monday and a 69-year-old man was arrested. Earlier, CBC spoke to Norma Melanson, the nurse’s mother, who said her daughter was attacked by the husband of a patient. Melanson said the man was upset his wife had been transferred from her room to an area closer to the nurses’ station because she was suffering seizures. The attack allegedly went on for 11 minutes in the nurse’s office behind closed doors before security arrived. Melanson said her daughter told her he grabbed her from her chair, pulled out two handfuls of her hair, and struck her in the face and ribs. “What she tells me was, ‘I was sure I was going to die,'” Melanson said. The man was allegedly holding her by the throat when they were found, Melanson said. The nurse was transported to the emergency room and treated for a brain contusion and a broken nose. Rogers-Marsh said the victim was brought to hospital and later released. No charges were laid against the 69-year-old man, who’s from Acadieville. He was released on promise to appear in Moncton provincial court on June 4, and RCMP said the investigation is ongoing. Melanson said her daughter now suffers from headaches, nausea and vomiting due to a brain injury, and has two black eyes and a swelling near one eye. A brain scan revealed she had a concussion, and Melanson said she suffers from hemophilia. Melanson said she received a call from her son Monday around 4 p.m. telling her what happened. Melanson hasn’t visited her daughter yet, because her children are worried how seeing her condition will affect her. She has only recently been released from rehab herself, after undergoing open-heart surgery in Saint John. Melanson said she was hospitalized for 78 days and in a coma for 62, and is still using a walker to get around. Still, Melanson said the whole family is distraught. Her daughter is currently being cared for at home, because she is afraid to be in the hospital. Paula Doucet, president of the New Brunswick Nurses Union, said in an email to Radio-Canada that staffing levels in hospitals can provoke tense situations. 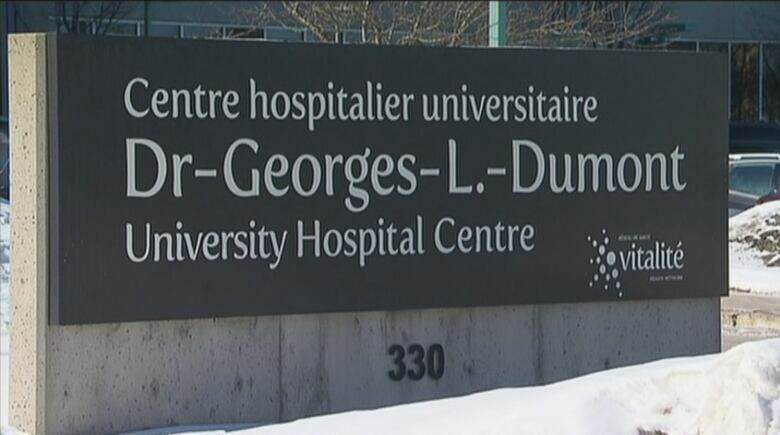 “We know that our hospitals and other health care facilities are overcrowded and understaffed, increasing the risk of frustration and episodes of violence,” Doucet said. Union vice-president Maria Richard said new legislation that will be in effect on April 1 will require employers like hospitals to do risk assessments of violence in the workplace. Richard said the nature of nurses’ work makes them vulnerable because they deal with people in high-stress situations who can lash out verbally or physically. The legislation will amend the Occupational Health and Safety Act to cover violence in the workplace. Richard said New Brunswick is the last province to implement this kind of legislation. She said a study in 2017 showed 63 per cent of nurses in New Brunswick have experienced different types of workplace violence. Vitalité Health Network said in an email statement that it has a zero-tolerance policy regarding violence in the workplace. “We take each of these situations very seriously and provide support services to all affected employees,” the statement said.